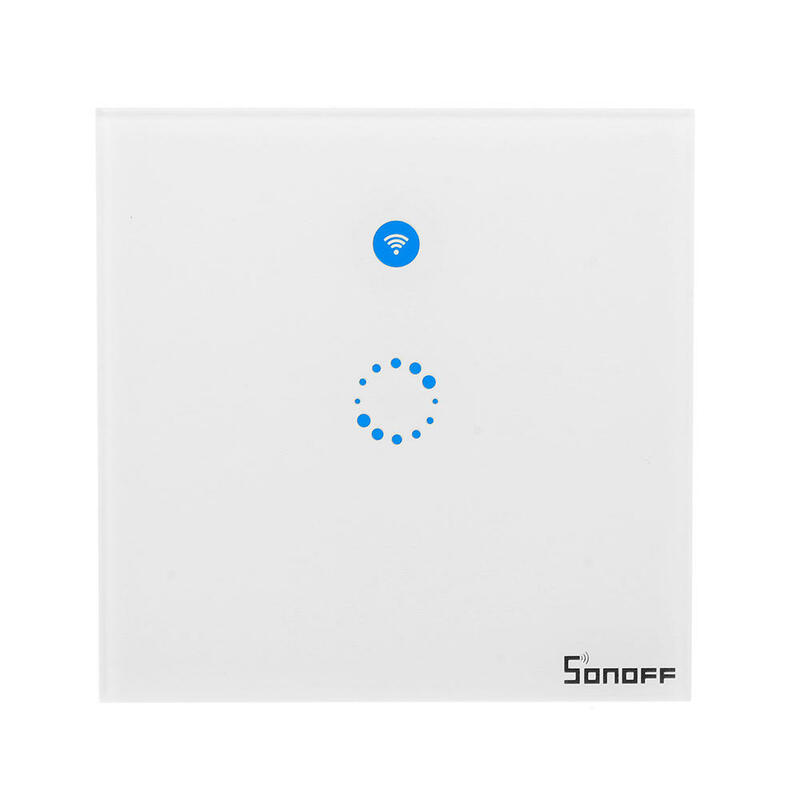 The Sonoff T1 Wall Touch Switch series are 1-3 gang 86 type touch/App/ RF control luxury smart light switch. 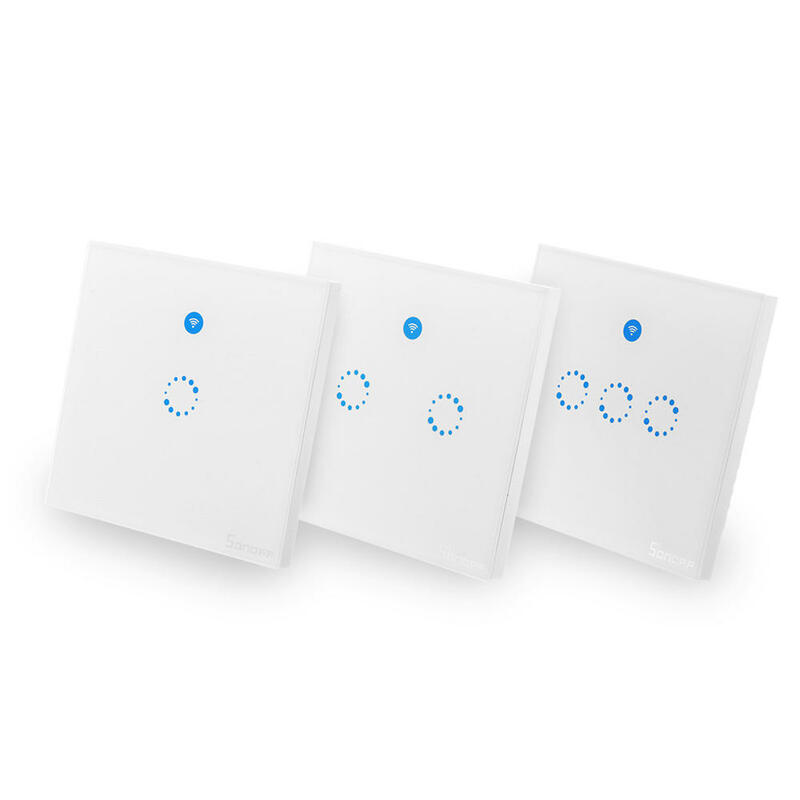 The wireless wall switch can be added to iOS/Android App eWeLink via WiFi, allowing users to remotely turn on/off connected lights or appliances separately from anywhere at any time. After successfully learning codes with 433MHz RF Remote, the touch light switch can be turned on/off indoors. Upgrade your home to an elegant smart home, control anywhere, anytime! Note: the T1 should be powered up by Live and Neutral wires. Some houses don't have Neutral wire on the wall switch.